A beautiful shady environment next to Yenwaupnor village, huge mango trees, a great house reef and a beach perfect for families with small children. 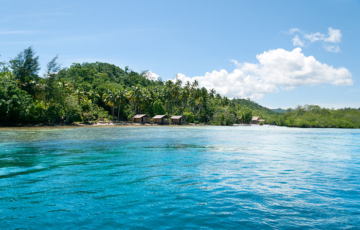 Over-water private bungalows in a sheltered inlet with excellent snorkelling, Birds of Paradise nearby and footpaths to Sawinggrai and Kapisawar villages. 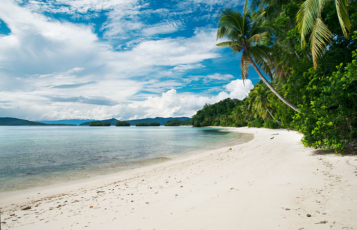 A private bungalow on a sheltered beach that features Walking Sharks, nudibranchs and rich coral, with Sawinggrai’s Red Birds of Paradise displaying nearby. 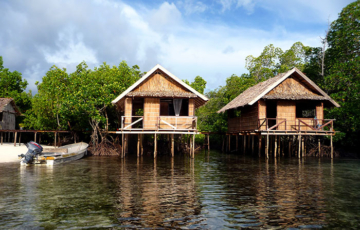 Private over-water bungalows in a sheltered location. 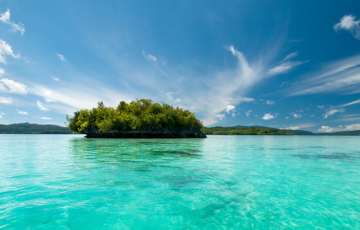 Perfect for relaxing and exploring the karst islands, hidden waterways and coral gardens of Gam Bay. 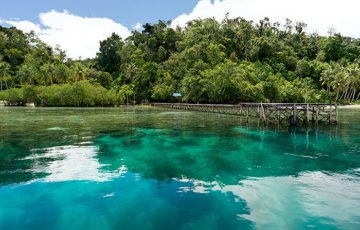 A beautiful, calm blue paradise at the entrance to Gam Bay, and the perfect place to enjoy a quiet escape, snorkel, and explore the many nearby attractions. Over water bungalows provide panoramic ocean views and easy access to excellent snorkelling and the many attractions of Sawinggrai and Kapisawar villages. An on-site dive center, a sensational beach, great reefs, and beautiful garden surrounds, it’s no wonder that Kordiris is a favourite of island travellers. 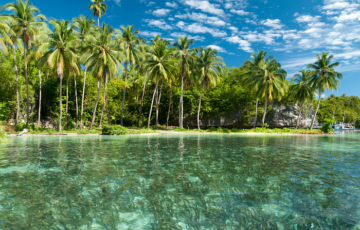 Private over-water bungalows or the spectacular views from bungalows on a hill covered in native orchids. Excellent snorkelling and easy access to villages. 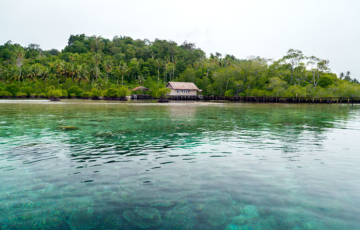 One Raja Ampat’s first homestays. 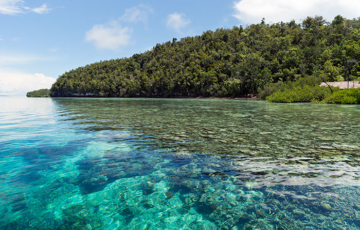 A vibrant coral reef, blue water mangroves and a spectacular array of nudibranch species. A macro photographer’s dream.